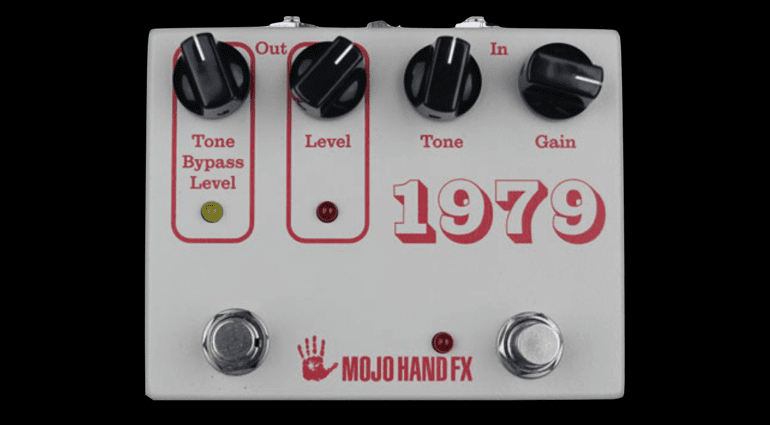 The new Mojo Hand Fx 1979 fuzz pedal is an evolution of their – now unfortunately discontinued – Mojo Hand Fx 1978 fuzz box. 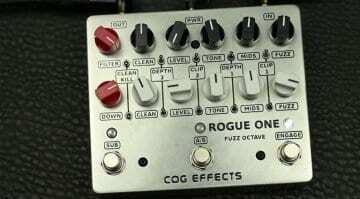 It’s based on a certain Electro Harmonix fuzz pedal from the late ’70s that many of us know and love. Before I get into this, I have to state that I personally love old ’70s Muffs (take that as you will). To see a modern day version, minus all the issues the originals can suffer from, is something that piques my interest every time. A good late ’70s Big Muff has a certain quality to its tone that could be described as almost buzzsaw-like, smashing through even the heaviest hard hitting drummer on the planet. That’s why I tend to gravitate towards them a lot myself. 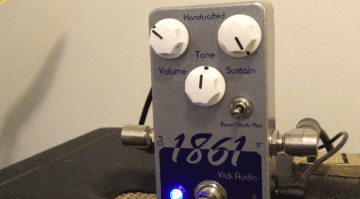 Mojo Hand FX 1979 IC Big Muff fuzz pedal. Smashing Pumpkins in a box. 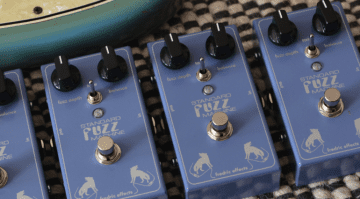 Mojo Hand Fx have been making great fuzz boxes for some time and already have a pretty cult following, as they just get it right more often than not. The 1979 is based on the classic Integrated Circuit or IC Big Muff circuit, which I love, though this one has things like true-bypass switching and modern components that should last a lot longer than those original EH ones tended to. The pedal has the Tone Bypass Level on the front and it looks as though you can use the footswitch below to toggle that circuit in or out. Everything else is your typical Big Muff control layout of Level, Tone and Gain, which is all you need really. I like the solid casing and clear layout of the 1979 and am sorely tempted to order one myself as it takes a regular 9V power supply and looks pretty bomb proof. Currently, I am using a Euthymia ICBM, which I adore but it has no LED indicator and doesn’t play ball with some power supplies. Luckily, though, its easy to get new ICs for this style of Muff, if you do blow them. Yes, I am speaking from experience on this one. Hopefully, Mojo Hand will get some audio demos online soon, as I would really like to hear it properly. It’s due to be released is in late February. 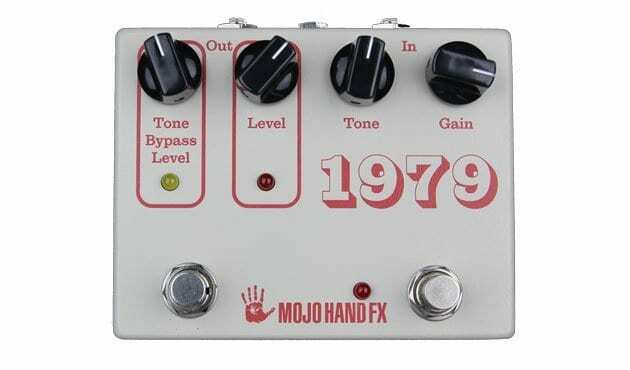 Read more on Mojo Hand Fx’s 1979 Fuzz webpage. 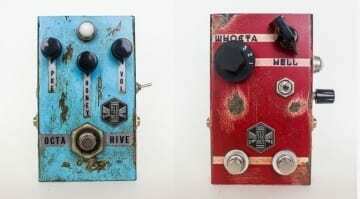 New Beetronics fuzz pedals – Hand-crafted relic’d honey-toned fuzz?